The village of Cerin is situated in the northern part of Zvolenska vrchovina (Zvolen's highlands) and is a crossroad for getting from the town of Banska Bystrica to the region of Podpolanie. 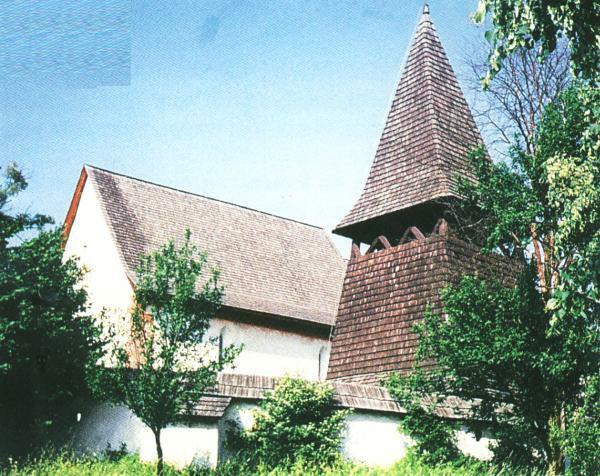 The major centre of the village represents gothic Church of St. Martin which was built in the early 14th century and is one of the most valuable monuments around the town of Banska Bystrica. Many Middle Age wall paintings are still seen in the church. Visitors can admire some other typical parts of the church such as christening well made of stone or wooden bell house which is situated by the church. The church was fortificated in the times of Turkish invasions. Both, the church and the bell house, were recently renovated. The village is also known for its mineral well which has got a few healing properties.